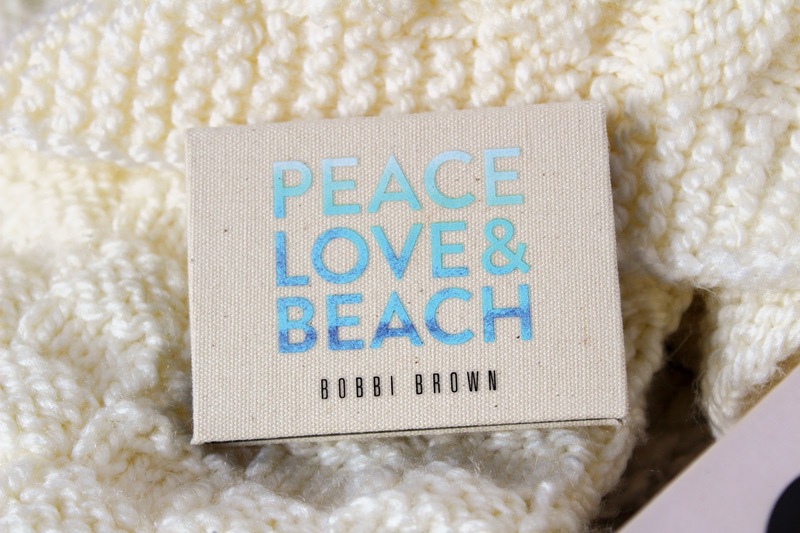 Bronze eyes are my jam so when this gorgeous little thing from Bobbi Brown landed, I was very happy indeed. Bobbi Brown is unbelievably a brand I have never explored until this year. I know, where the hell have I been?! I don't even have the excuse of not having a counter in Southampton because we do and it's full of the most helpful babes ever who helped me pick out even more of the cream shadow sticks recently. I've pretty much concentrated on eye products from Bobbi Brown so far and I haven't been disappointed so World Duty Free whipped up a treat with this one. 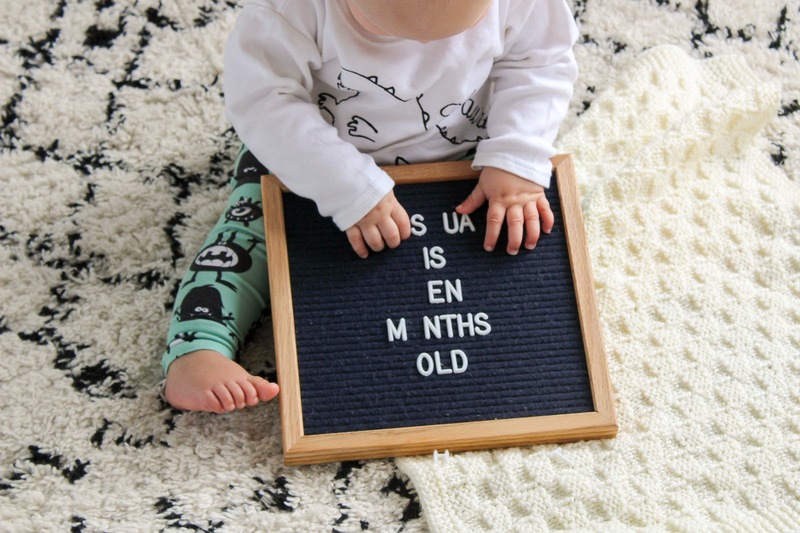 We're having a quick break from beauty today because my little squidge is ten months old! 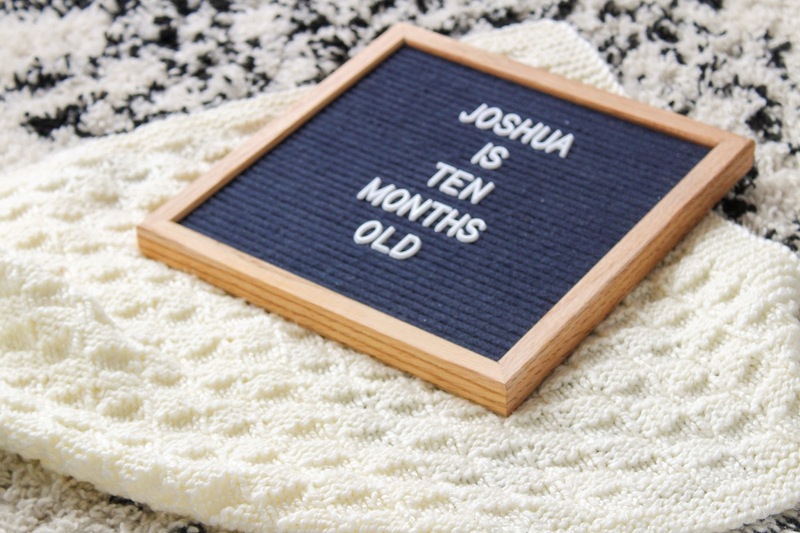 I've been an emotional wreck the last week because ten months for me is pretty much the entire time I carried him and we're edging even closer to his first birthday which I'm not emotionally prepared for either. People always say that the months fly by and they really do. 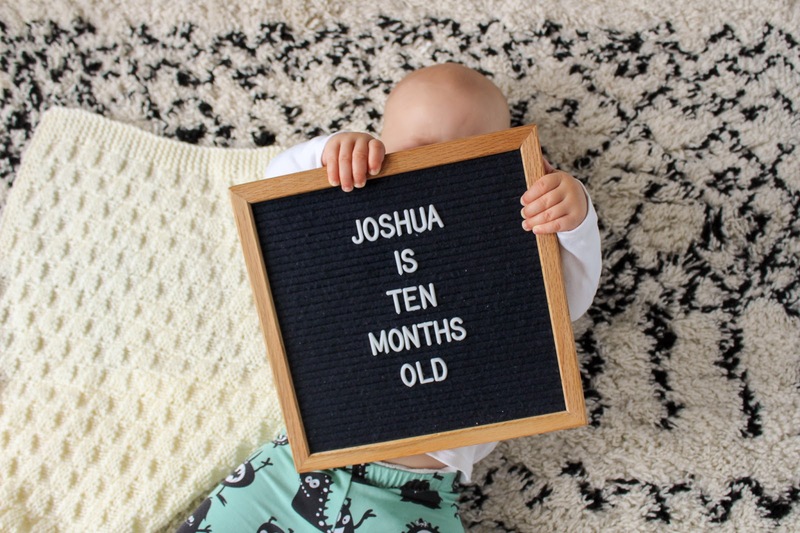 I say this every month but Joshua has changed so much in just four weeks. Arran and I have spent more time saying "Omg did you just see that!" than anything else this month because he is just growing up so fast. That pesky tooth I've been on about for two months has finally cut! The other six came through so quickly so I feel like we've been sat just waiting for this one and with number eight just starting to peek through, there's no rest yet! We have four top teeth and three bottom for the moment and I can confirm they're all very sharp. My wrist took a good chomping this month and I was sporting baby teeth marks for much longer than expected. Good job he's cute eh? 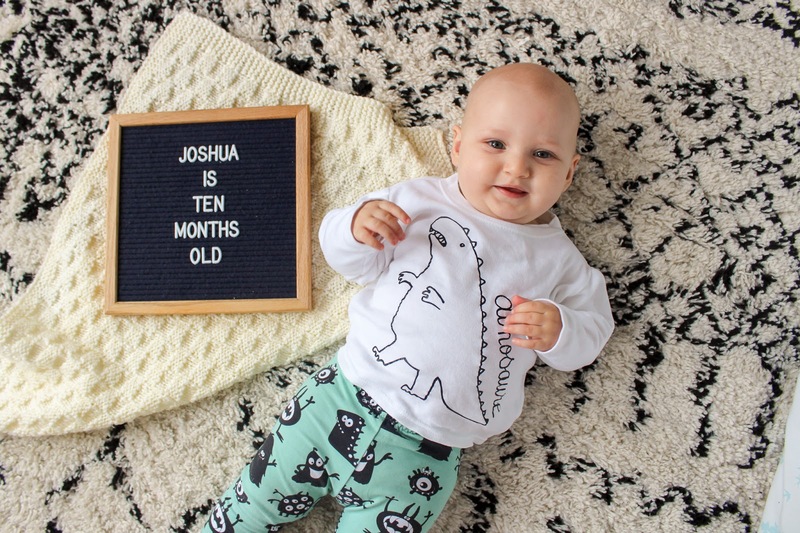 We've tried lots of new foods this month, I think I've really found my confidence with feeding him and not worrying about him choking so I've been trying him on anything and everything. He wolfed down Arran's delicious veggie chilli last night and he loves blueberries, kiwis and Marmite toast. 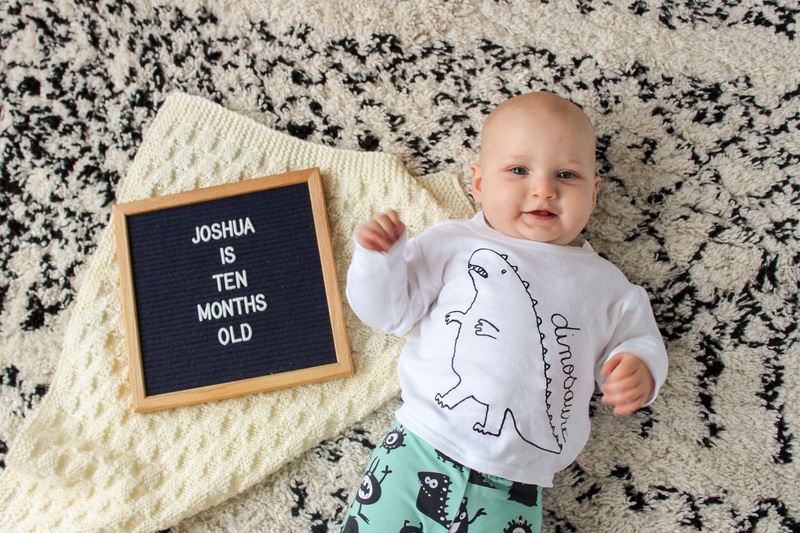 He also snuck away a party ring at my Dad's birthday this month and he enjoyed a dairy free cupcake at his little baby friend's first birthday party. I now can't have my breakfast without sharing it with him and he's so bloody quick he has it off my plate before I realise. A lovely mum friend helped me out with some dairy free baby ideas recently so banana pancakes are next along with some other yummy treats. Sleep took a downward spiral this month until the last five days. 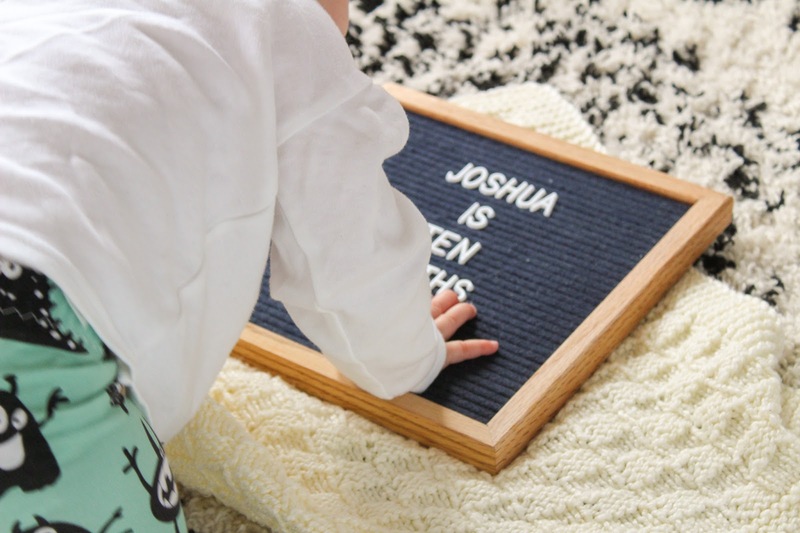 Between the heat, teething and a leap, it's been hard work and once all that settled down and it still wasn't getting better we were a bit lost until a chat with a friend over mattresses. She had mentioned how changing the mattress side had made a big difference so after another night of barely any sleep we panic bought a brand new mattress and he's slept so much better since. I personally can't tell the difference between them but we're a week in now and that's the only change we've made so I don't think it's a coincidence. Fingers crossed it continues because it is so nice being able to sleep again especially as he's always been a pretty good sleeper so it's not something we've had to deal with. Baby classes are all done so I'm going to be spending the next couple of weeks looking for something new for us to try. 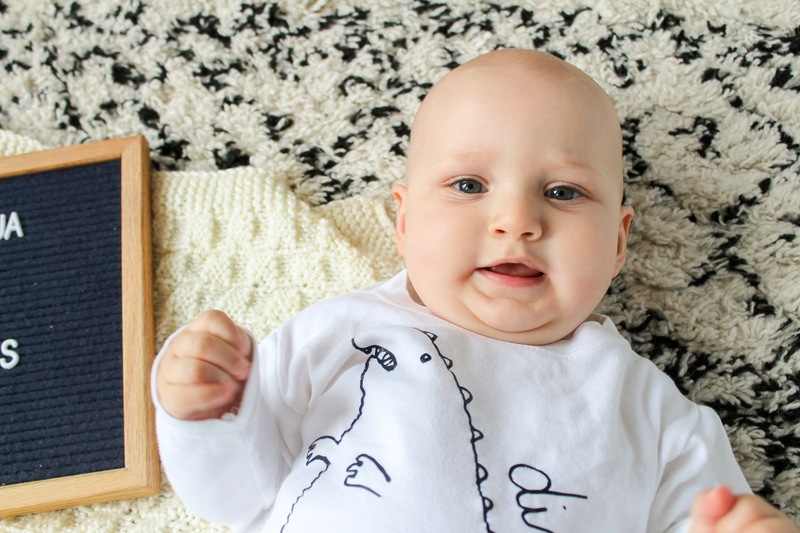 In place of our classes we've been meeting with friends and their babies most weeks which has been so nice as I finally feel like I've found some mum friends which get me. We have a few days out planned too which certainly makes all the difference. Development wise we've had crawling, walking around the sofa while he holds on and this week he's started letting go so he stands on his own for a few seconds until he plonks on his bum. He's going to be tearing around in no time! He's also started jibbering away and has started say hello whenever anyone is on the phone which makes my heart melt every time I hear him. Other than that it's a lot of babababa, dadadadada and nunununun which is just as cute. It is not often I fall head over heels for a mascara on the first use but the Hourglass Caution mascara has well and truly wowed me. I have quite short lashes so I always need to use a bit of mascara to achieve any sort of wow factor to my look. 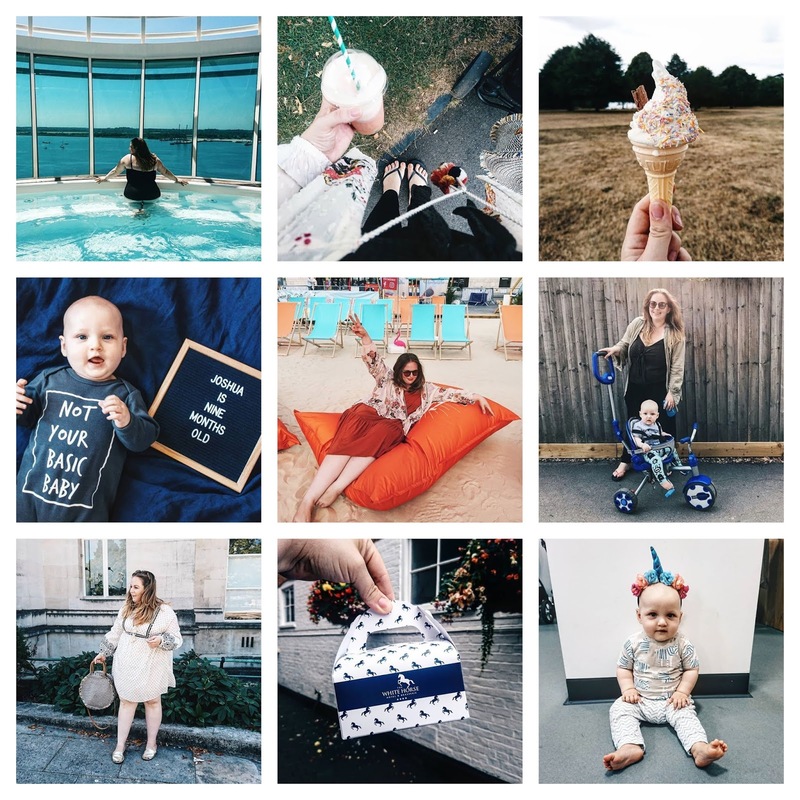 I'm also quite particular about what I use and have some firm favourites I don't tend to move away from, until now. 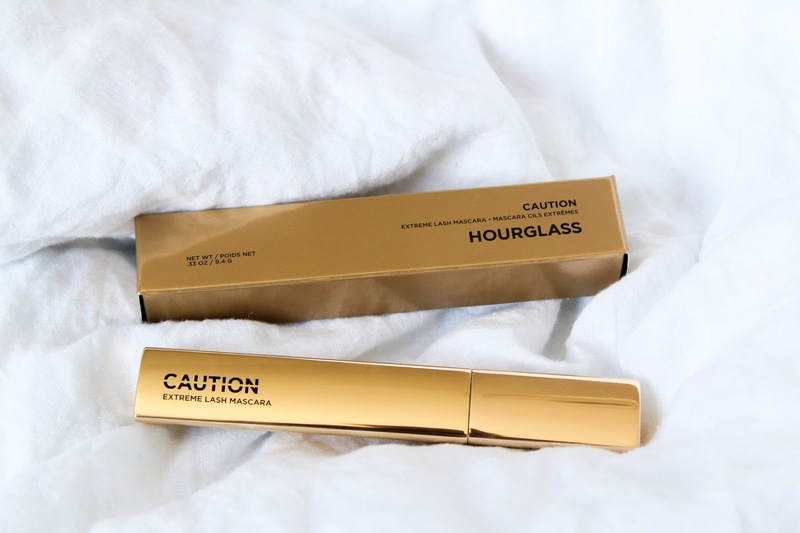 The Hourglass Caution Mascara (£25.00) landed in my hands by complete surprise and as my first ever piece of makeup from Hourglass, I was VERY excited to try it. 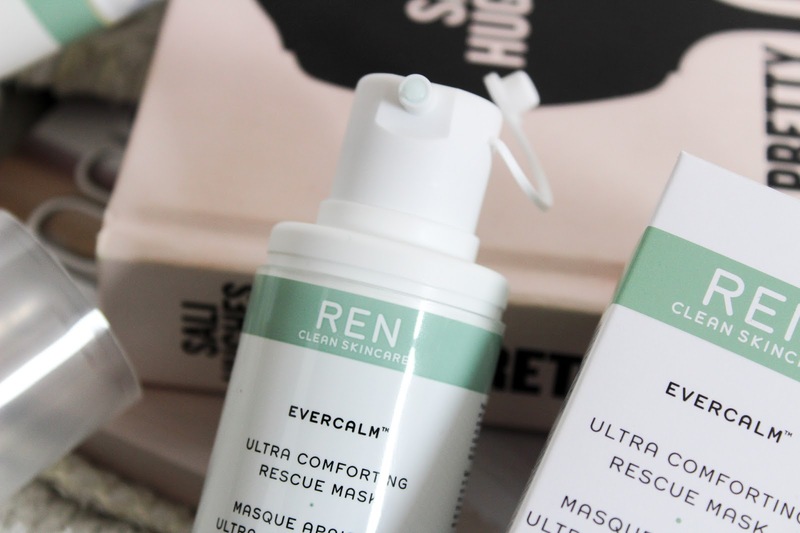 When it comes to skincare, Ren are one of my favourite brands to rely on because you know exactly what you're going to get. 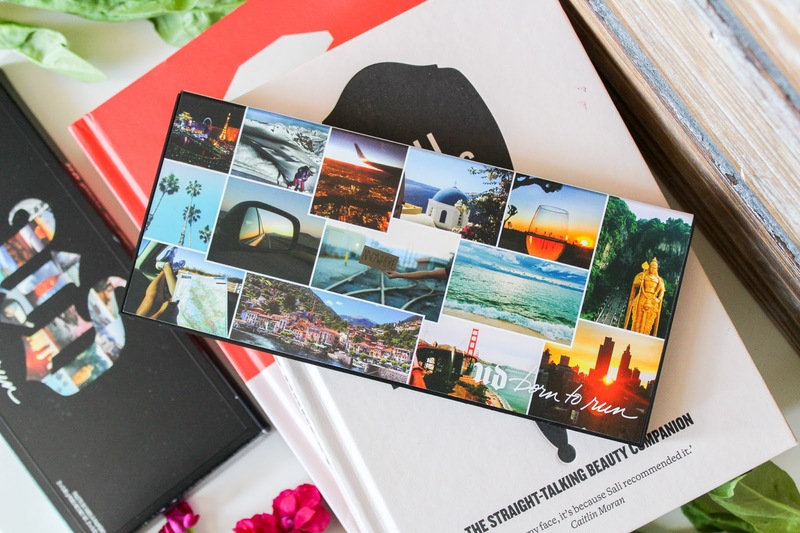 Their targeted ranges make finding what's right for you super easy and with over ten ranges to choose from, you're guaranteed to find something that will work perfectly for you. One of my all time favourite products is the Glycol Lactic Radiance Renewal Mask but with my skin changing so much since I've had a baby and becoming more sensitive again, I thought I'd explore more of what is available and that is how I came to discover the multi award winning Evercalm range. The Evercalm range is full of wonder products to pamper sensitive skin. Focusing on soothing and calming, the products help reduce redness, calm irritants and help restore the skins barrier against environmental stress which does more damage than I think we sometimes realise. Choose from individual products or make the most of their saver bundles and allow your skin to become the best it's been. I need Evercalm to over haul my entire life, not just my skin. Ah bronzer. It can take some time to find your ideal bronze shade without looking muddy or as if you've used none at all. 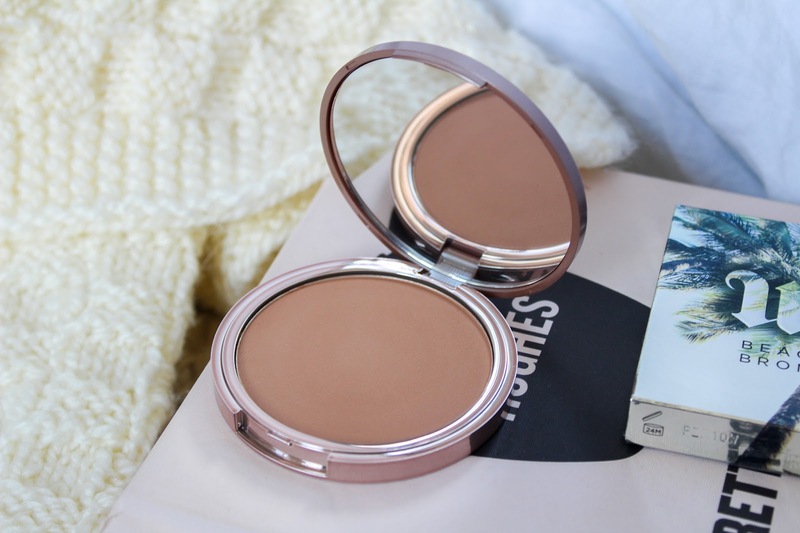 Highstreet wise, I stick to Maxfactor but some of my favourite bronzers are higher end such as Nars Laguna and Benefit Hoola. I much prefer a matte bronze over a shimmer so that I can use it to contour my face and add some definition when I've snuck a biscuit too many. Urban Decay is a brand I've loved for years and so it was inevitable that Beached Bronzer would eventually join my collection of matte bronzers. 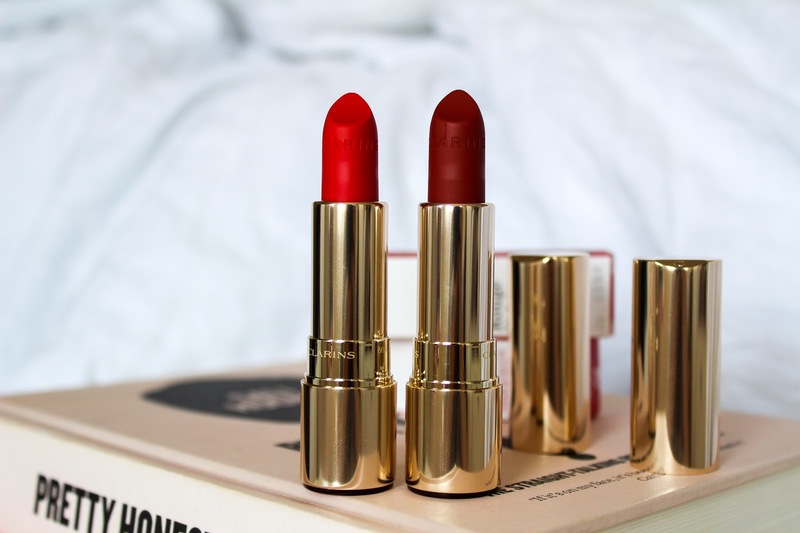 Oh hey, it's me back with more lipsticks, more matte lipsticks to be precise and I don't want you to freak your bank account out but you're gonna want to nip to Clarins ASAP. I LOVE a matte lip, I've tried various brands, formulas and shades, I know my favourites and I know what doesn't work so when Clarins came along with a matte lipstick which gave the incredibly matte finish I desire while moisturising my lips better than shea butter, well I sat up and took notice. MAC Cosmetics lipsticks have been my jam for years now, I bought my first lipstick when I was fourteen when they were only £10.50 and the love continues all these years later. 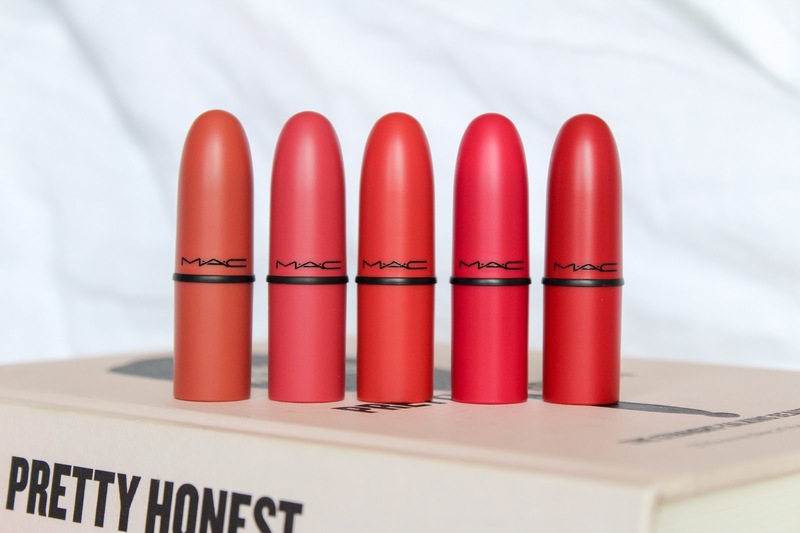 I have quite the collection and some firm favourites so even I was surprised to discover that I didn't own a single one of the shades in the MAC Cosmetics Look in a Box Be Sensational, exclusively available from World Duty Free. 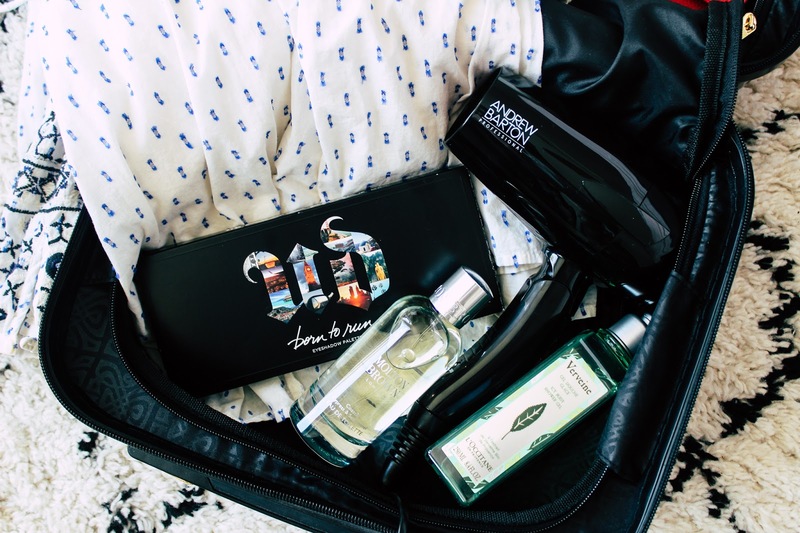 We're in the throws of summer and the weather has been beautiful for once so it seemed only right to share five travel favourites I've been relying on over the last month that all fit perfectly in my carry on. We have a few trips planned over the coming months so finding my favourites now has really saved some time. If there's one thing I strive for daily, it's a fabulous glow thanks to one of my many trusty highlighters but recently I've been falling a little out of the love with then norm and a sudden urge to find something new. It was as if the Pixi fairy gods heard and before I knew it, the Pixi Glow-y Gossamer Duo landed and I was set to glow bright for ever more. 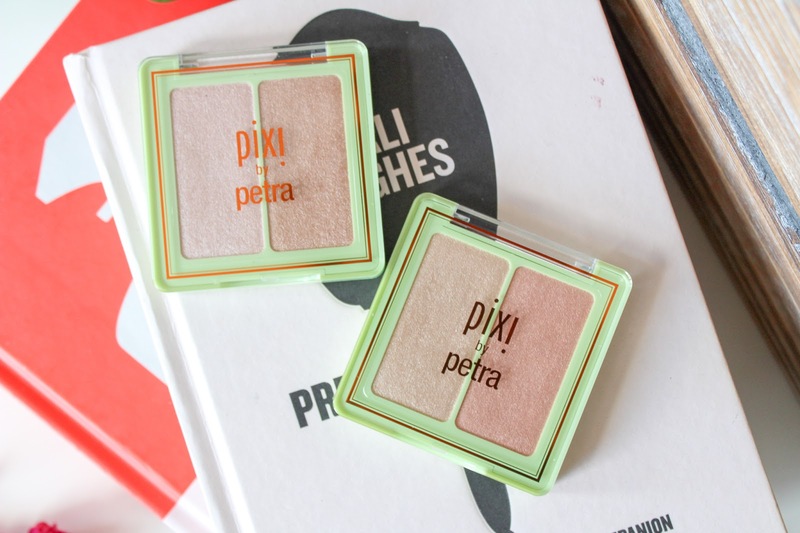 There are two duo compacts available from Pixi and you're probably gonna need both because they're bloody beautiful! A new season brings a new skincare routine for me as my skin begins to feel dry and lacking hydration in the summer months. 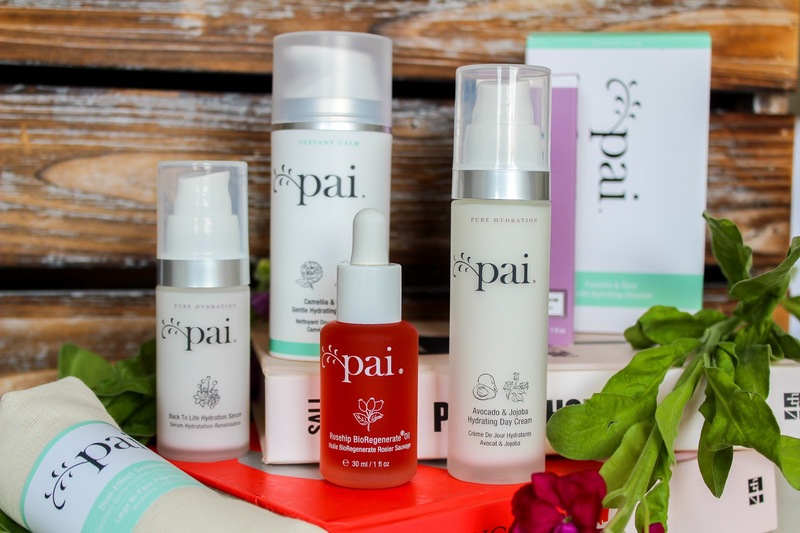 Pai Skincare is a complete new brand for me, we use their baby skincare on Joshua so it was inevitable that I'd find some products to try for myself. 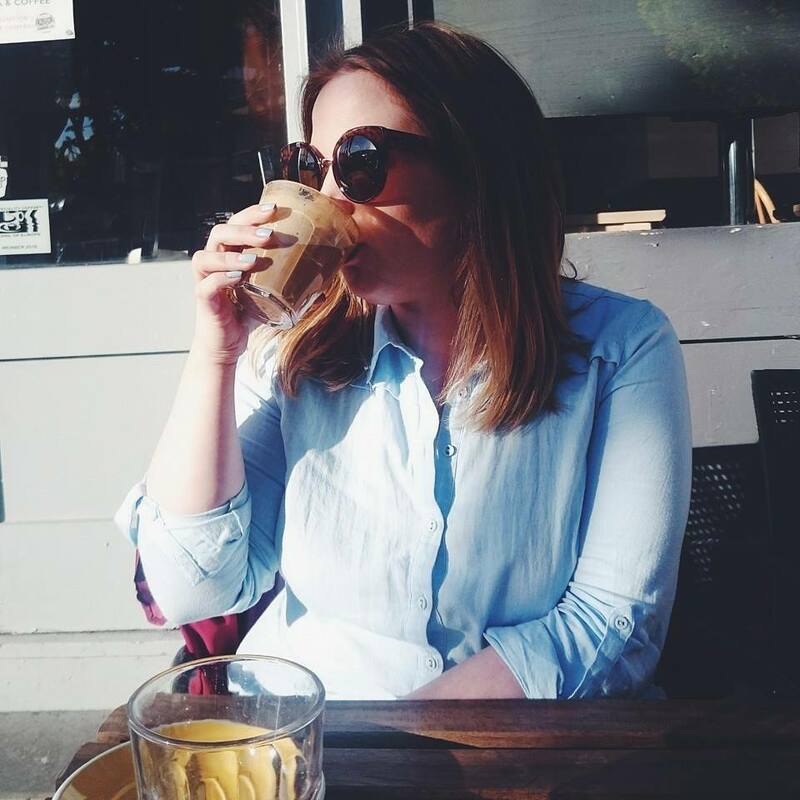 I started with the basics for any skincare routine, a cleanser, facial oil, serum and moisturiser and as my skin takes a slight battering in the heat, despite my use of factor 50, the only thing giving it some life at the moment are four products from Pai. 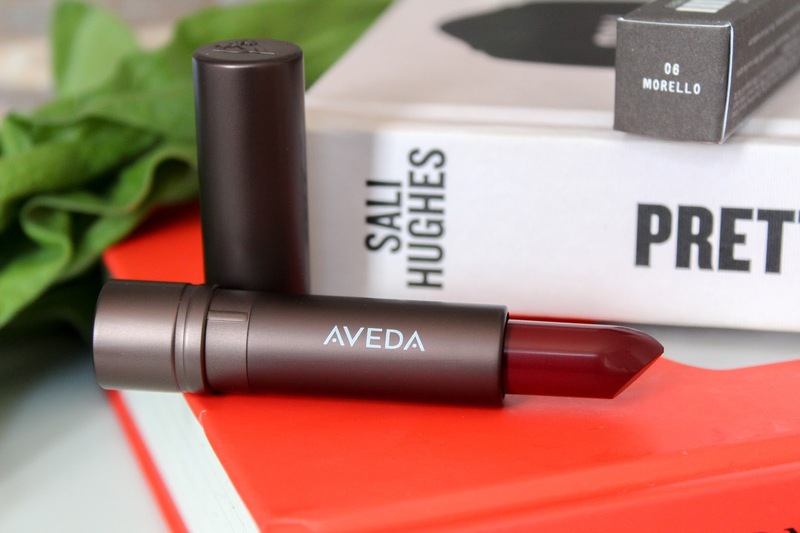 When it comes to lipstick, you guys know I like a bold lip so when Aveda introduced their Feed My Lips collection my ears pricked up. 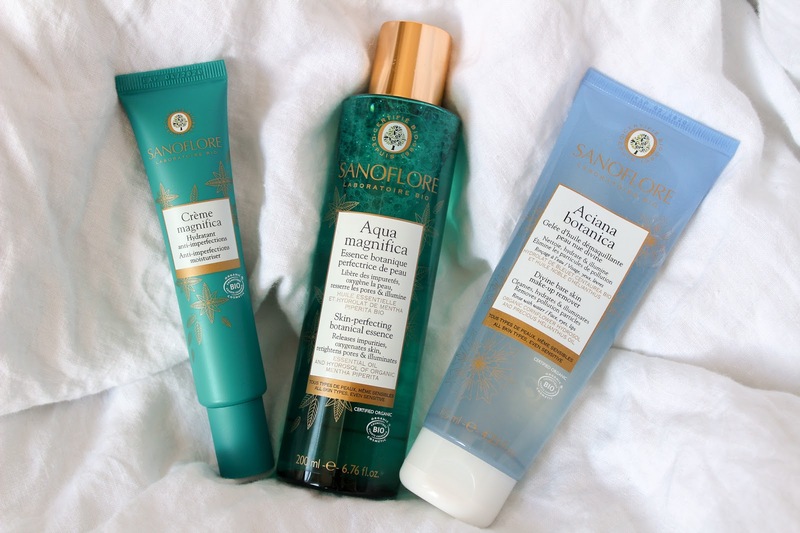 I've used Aveda haircare for a few years but I didn't know they also sold makeup so a whole new world of products have been opened up to me and let's just say, the bank account groaned a little. If there's one thing that gets me hot under the collar, it's a new palette from Urban Decay and when Born to Run fell into my mitts, I did a little squeal. The Born to Run collection is available nationwide and features everything you need when you're on the run from a 21 pan makeup palette to lipsticks and setting spray. It's a collection I never knew I needed and now I'm frantically trying to justify buying all three of the lipsticks, especially shade 66.